Cutting corners in the warehouse? It could cost you. Uncertainty surrounding Brexit has led to an economic slowdown; The Guardian reported a 0.4 percent GDP increase between July and September – ok, but not stellar. It’s tempting to read this as a sign that businesses need to tighten their belts. When times are tough, there’s a tendency to focus on areas that don’t visibly generate revenue, however, one area where running things ‘on a shoestring’ should be considered carefully is the warehouse. If the warehouse isn’t operating at optimal efficiency, it can become a major drain on your valuable resources and even seemingly minor economies can cost your team time and negatively impact your bottom line. To bypass purchasing ruggedised hand-held terminals (HHT), warehouses will occasionally invest in consumer-grade devices to manage processes. 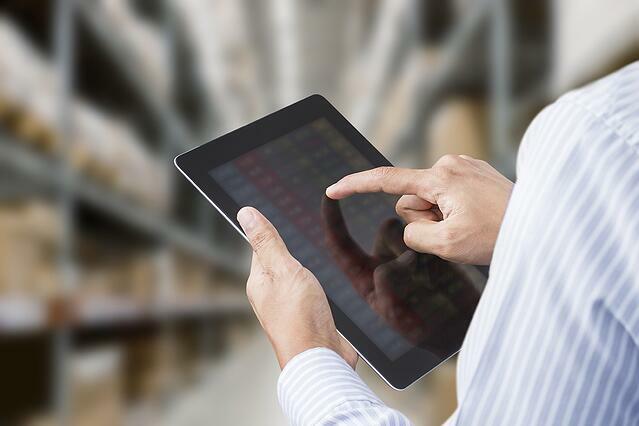 However, an ordinary iPad or Microsoft Surface isn’t built for the demands of a busy warehouse. They’re considerably more fragile, and in the event they malfunction or break, their suppliers typically don’t provide the same level of service a provider of specialised equipment will. Purchasing consumer-grade equipment may also lead to your employees treating the devices as a consumer would. You’ll run the risk of your equipment contracting a virus, leading to downtime and lost revenue. It’s also easier to lock down an HHT and prevent use for non-work-related tasks. The basic supplies commonly found in the corporate office won’t cut it on the warehouse floor. User-generated barcode labels, printed on regular paper, will quickly deteriorate. Standard business printers often require expensive replacement parts, and won’t hold up under the volume of items you’ll need to print. Buying these products may save you money on the initial investment, but upkeep will end up costing more in the long run. When it comes to picking processes, warehouses may try to substitute shopping trolleys for picking trolleys. Specially designed multi-level picking trolleys allow items to be separated for specific orders or batches of orders, saving your employees time as they pack boxes. Investing in the right supplies leads to a more profitable warehouse. Some organizations look to save money by hosting their business-critical operations on hyper-scale clouds, designed to fit a multitude of customers. While the lower price tag is enticing, you’ll lose service designed for your specific needs – you’re on the cloud provider’s schedule, leading to less uptime, resiliency and security. Instead, invest in an enterprise-class hosting platform. 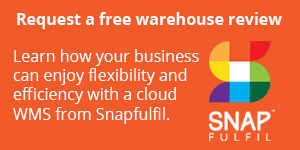 The best cloud warehouse management software vendors host their solutions on a more robust and flexible platform that will support your specific requirements. Your WMS will be protected by best-of-breed security technologies, and, in the event of a disaster, will instantly failover with virtually no downtime or loss of data. If you’re looking to save money in the warehouse, start by re-examining your processes and determining where you could streamline operations. Whether it’s optimising your receiving and put-away processes, introducing more efficient picking methods or introducing a rolling inventory count to maintain accuracy without the need for a manual stock take, a best-of-breed WMS drives improved efficiency and productivity, allowing you to do more with the same or less resources. It’s well worth the investment.